If you’re like us and love cars to death, you’ve probably heard about the return of Britain’s well-known grand tourer. We’re talking about none other than the 2018 Bentley Continental GT. Resembling its predecessors, the new Bentley offers top performance, style and an invigorating, more aggressive look. The world first saw the Bentley Continental GT at the 2003 Geneva Motor Show. Since then, with updates and improvements over the years, the car had broken ice speed records and participated in GT races across the world. Moreover, a collaboration between Bentley and Breitling - a Swiss company making pilot’s watches – has made the Continental’s instrument panel a reality, contributing to the brand’s style and sophistication. This year brings us an improved, fresh looking, sporty, third generation Continental GT, which will make its inaugural public exhibition at the Frankfurt Motor Show, starting September 14th. The car is expected to go on sale sometime in 2018 and will feature City and Touring Specification packages, for urban and long distance journeys. Built by hand (yes), the car spells “PREMIUM” both from afar, as well as from up close. Its whole body is built by heating the aluminium at 500 degrees Celsius, offering pinpoint precision and accuracy during the manufacturing process. Although some weight has been gotten rid of, the new GT still weighs around 5000 pounds, making it an imposing, massive piece of engineering. Quick fact - around 10 square meters of wood are used to decorate the interior of the new Continental GT. The multiple paint job options, alongside the appealing wood and chrome accents found inside the car, combined with top-notch technology, make this beast of a machine a unique, thrilling experience. If you’re planning to buy one, the wide variety of options you can customise will put a very personal touch on your new Bentley. But why not take it a step further? With Primo Registrations, you can pick up a pair of brand new, personalised plates for your brand new, customised car. 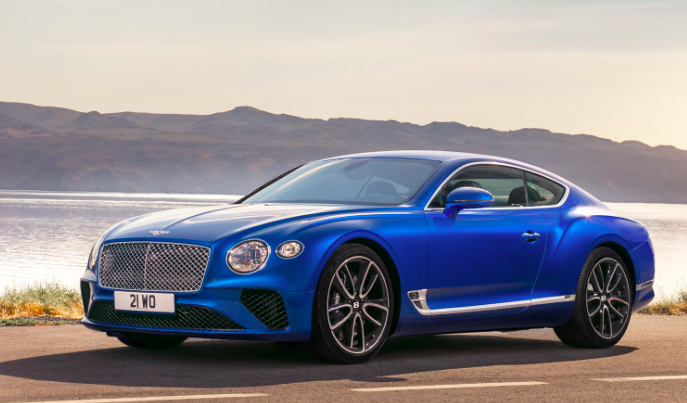 The blazingly fast Continental GT comes with an improved 6.0-litre W12 engine, which is shorter than the standard “V” engine and improves weight distribution, along with performance. Speaking of which, the 635 horsepower (626 bhp) will get you from 0 to 62 in about 3.7 seconds, with a top speed of 207 mph. While “flying” that fast might get attention and turn some heads, it’s an almost sure way to get you in trouble. Don’t forget that safety should always come first! Adding to that, you don’t want to drive yourself into a fine (or a fence) and the police keeping track of your registration plates. Anyway, you can look cool in your Bentley, but your personalised plates can also play a major role in that. Or they can at least surprise onlookers with your creativity. Head over to Primo Registrations UK and choose from over 50 million plates!